Get the campaign booklet Download the campaign booklet (PDF). It introduces you to each case and sets out how you can write to them, and how to write to the authorities on their behalf. 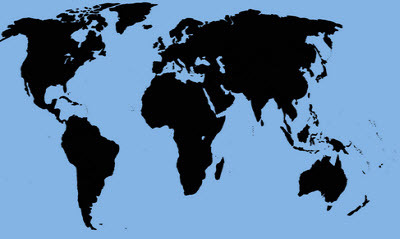 This is the main resource for Write For Rights. This is where Write For Rights began: writing to people who are wrongly punished, to show them that they’re not alone. If writing letters isn’t for you, you can send a message of solidarity online. In a world of petitions, physical post does get noticed! As well as writing to the people suffering human rights abuses, we also ask you to write to the authorities who can bring them justice. All the details of how to write to authorities are in our campaign booklet. You can download pre-printed ‘appeal’ address labels to make it easier to send multiple letters. Write for Rights events come in all shapes and sizes – from stalls in outdoor markets, to intimate gatherings in a local pub. See UK AI’s tips for putting together a successful Write for Rights event. Don’t forget to add your event to the website once you’ve got the date and location confirmed! Every December, Amnesty supporters across the globe will write millions of letters for people whose basic human rights are being attacked. It’s all part of Write for Rights, AI’s global letter-writing marathon. The video clip includes MEA laureate 2016 Ilham Tohti. It’s one of the world’s biggest human rights events and carries on a long tradition of people writing letters to right some of the world’s biggest wrongs. During the annual Write for Rights campaign, from 4-17 December, hundreds of thousands of Amnesty International supporters and activists around the world will send letters, emails, SMS messages, faxes and tweets calling for the release of activists jailed for peaceful dissent, supporting victims of torture and pointing a spotlight on other human rights abuses. “Our campaign promises exciting, uniting and effective activism bringing together people from all different walks of life,” said Salil Shetty, Secretary General of Amnesty International on 27 November when launching this year’s campaign. 2014 was a record-breaking year for the campaign, with hundreds of thousands of people in more than 200 countries and territories sending 3,245,565 messages offering support or calling for action on the cases of 12 individuals and communities experiencing human rights abuses. More than a million messages have been sent in support of jailed Saudi blogger Raif Badawi since the campaign raised his case. On 28 May 2015, the Delta State Governor Emmanuel Uduaghan pardoned and released Nigerian torture survivor Moses Akatugba. The 2013 campaign led to the release of three prisoners of conscience: Cambodian housing rights activist Yorm Bopha, community leader from Myanmar Tun Aung and Russian protester Vladimir Akimenkov. Uzbekistan: Muhammad Bekzhanov, the world’s longest-imprisoned journalist (together with Yusuf Ruzimuradov from the same paper, jailed at the same time in 1999). Malaysia: Political cartoonist Zulkiflee Anwar Ulhaque or “Zunar”, who faces a long prison sentence under the Sedition Act for tweets criticizing the country’s judiciary. Myanmar: Phyoe Phyoe Aung, leader of one of Myanmar’s largest students unions, one of 54 students and protesters jailed after protests on 10 March 2015. Democratic Republic of Congo: Peaceful youth activists Yves Makwambala and Fred Bauma, arrested at a press conference and awaiting trial accused of forming a criminal gang and attempting to overthrow the government. Saudi Arabia: Lawyer Waleed Abu al-Khair, currently serving a 15-year prison sentence followed by a 15-year travel ban and a fine for his peaceful activism. Before his imprisonment, he defended many victims of human rights violations in Saudi Arabia, including Raif Badawi, who was supported by last year’s campaign. 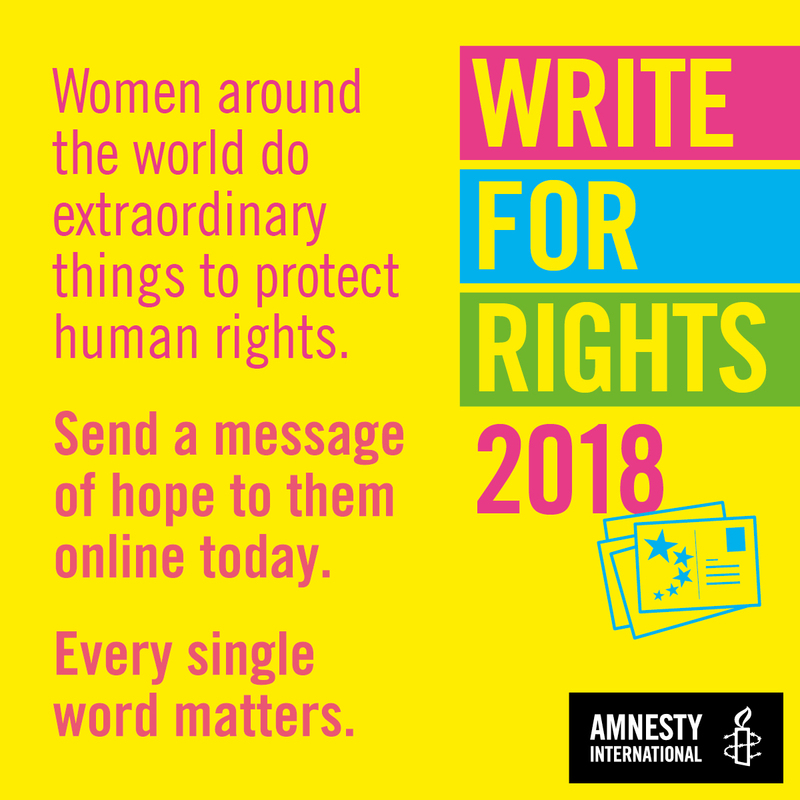 A factsheet is available from AI with more details about Write for Rights and the cases highlighted by this year’s campaign: https://www.amnesty.org/en/get-involved/write-for-rights/.